Reminders in the Google Calendar app for iOS and Android. 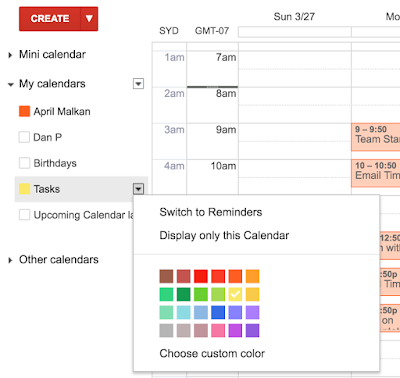 We’re now happy to announce that Reminders are coming to Google Calendar on the web. Reminders carry forward to the next day, until you mark them done. To mark a reminder as done, simply click on the reminder, and click ‘Mark as done’. 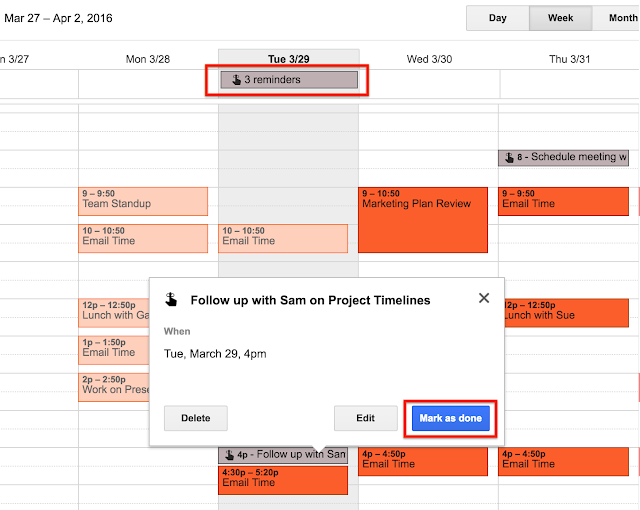 Reminders created in the Google app, Keep, and Inbox will also show in Google Calendar. 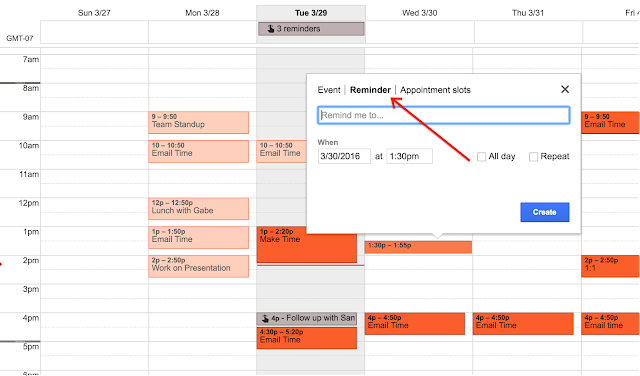 Reminders on the web will sync to your Google Calendar Android and iOS apps. Reminders are private to calendar owners and are not viewable, even if your calendar is shared with others. Google Tasks users will not be prompted to use the Reminders feature. It can be enabled from the drop down menu on the Tasks calendar. Last year, we launched Reminders in the Google Calendar app for iOS and Android. We’re now happy to announce that Reminders are coming to Google Calendar on the web.